Mardi Gras in New Orleans is the greatest free party on earth—and the fun doesn’t stop when Lent begins. 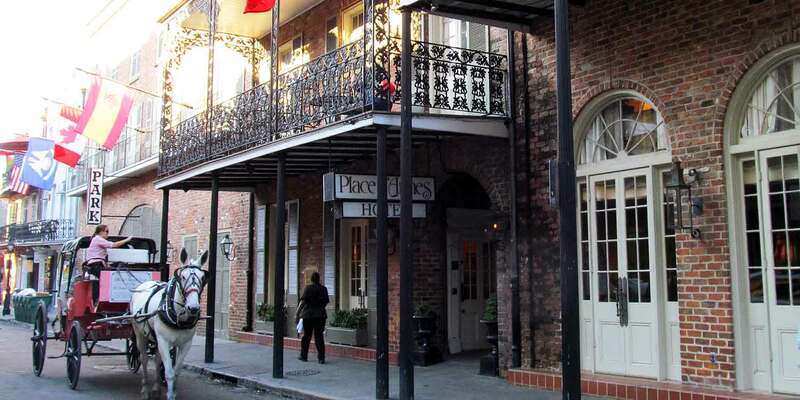 The Crescent City is surprisingly affordable all year round, and the bulk of its fun, free activities are concentrated in the French Quarter near Place d’Armes Hotel. In fact, it’s entirely possible to spend a day exploring, eating and sightseeing in the Vieux Carre without spending more than $20. Here’s your itinerary–laissez le bon temps roulez! Cafe du Monde is an institution and for good reason: the Vieux Carre coffee stand has been slinging beignets since 1862. There are no reservations at the 24/7 joint–just find a table and take a seat. 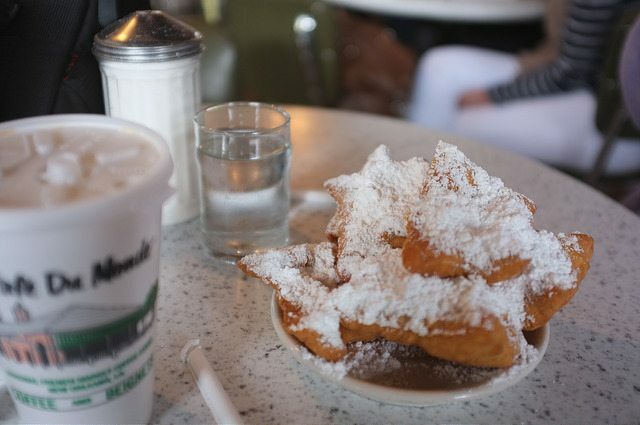 Order a cup of hot cafe au lait and a steaming plate of beignets (fried French donuts topped with a small mountain of confectioner’s sugar). 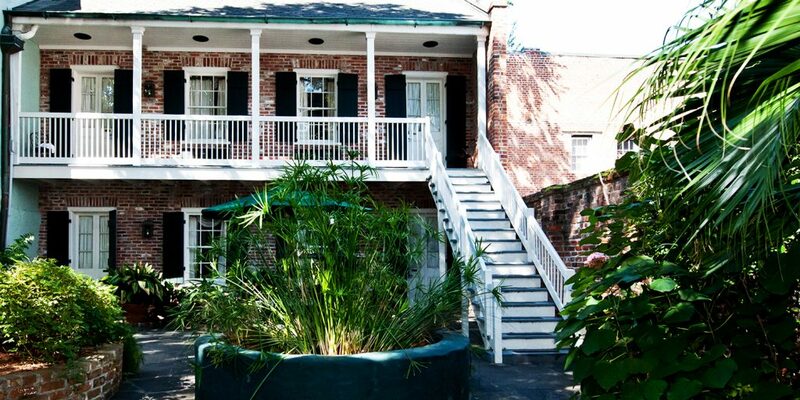 Dig in while listening to jazz music drifting over from Jackson Square and feeling the breeze off the nearby Mississippi River. It’s a priceless experience, but it will only set you back about $6 (be sure to bring cash and don’t forget to leave a few bucks on the table for a tip). Admiring the passing riverboats on the Mississippi, but short on cash? There’s a way you can cruise the Mississippi for a fraction of the cost of admission to a paddlewheeler. It’s called the Algiers Ferry, and it’s your portal to the West Bank. Pay $2.00 cash to board the double-decker ferry, which docks at the foot of Canal Street, near the Aquarium of the Americas. Lean against the railing as the ferry pulls away, and enjoy sweeping views of downtown. The St. Louis Cathedral’s spires never look as beautiful as when viewed from the river. After the five-minute ride to the West Bank concludes, you can walk around Algiers Point, New Orleans’ second-oldest neighborhood, and stroll the Jazz Walk of Fame on the Mississippi River levee. Every item at the auction house looks like it costs at least a quarter of a million dollars, but a visit is free. If you walk through into the spacious back area, you’ll find a room filled with priceless antiques and oddities, including 18th-century French mantels, statuary and elaborate player pianos. Layered with Italian deli meats, provolone cheese and olive salad and served on a seeded bun, a muffuletta sandwich is an original New Orleans creation, and Central Grocery invented it. Line up at the historic grocer and deli to try one. Word to the wise: a whole muffuletta is enough to feed two people, so opt for a half-sandwich at $9.50. Bring it to the Moonwalk for a riverside picnic that won’t set you back much cash and that will keep you happily full for hours. Want to soak up some Crescent City history? The National Park Service offers free tours from 9:30 to 10:30 a.m. Tuesdays through Saturdays. A park ranger guides groups of 25 along the Mississippi River and tells them about New Orleans’ history. Tickets are first come, first served, and they are available starting at 9 a.m. Afterwards, visit the Historic New Orleans Collection’s free exhibits, which include Storyville: Madams and Music and Giants of Jazz: Art Posters and Lithographs by Waldemar Świerzy from the Daguillard Collection, for an up-close, visual history of the city.